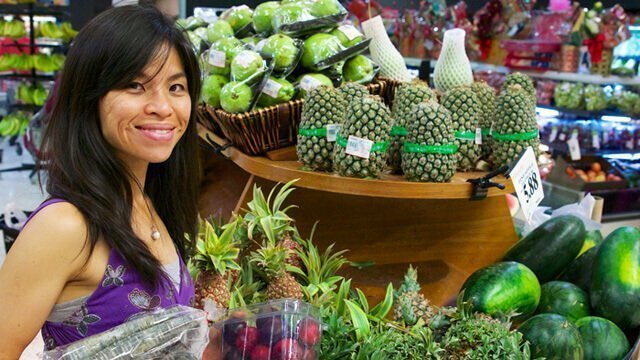 I am the founder and creator of Raw Food Asia, the largest health movement in Southeast Asia. I am also an accomplished Supreme Court advocate by day and a 100 percent supercharged-from-the-jungle fruitarian. Having embraced raw veganism in 2010 religiously, I transformed from an arthritic workaholic desk jockey to an able-bodied marathon runner. 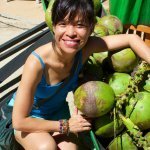 I have been an inspiration to more than 21,000 fans on my Facebook group, Raw Food Asia, and have kickstarted the largest raw food movement in Southeast Asia. An exemplification of all that I wish to create, I am a leading visionary in the raw food movement, especially in my tropical paradise residence of Brunei. I attended the University of Birmingham and graduated with an LLB honours. I then went on to qualify as a solicitor of the Supreme Court of England and Wales and have been called to the bar in West Malaysia and Brunei. 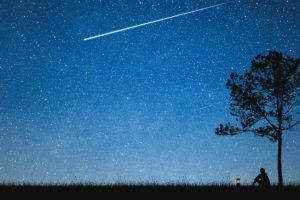 Being an advocate and solicitor has been challenging and stimulating, but after 20 years in active practice, something was still missing in my life. 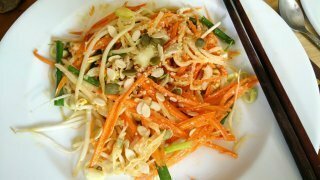 I did not find complete satisfaction until about five years ago when I chanced upon a raw food diet. This has finally completed the central piece of my career jigsaw. I have always been inclined toward anything “sporty” or “healthy” all my life and managed to stay clear of obesity and sickness. I never really made the diet-and-wellbeing connection, however. My epiphany came when I chanced upon a YouTube video and encountered Dan McDonald, The Life Regenerator, who was steadfast in sharing videos on juicing, smoothies and the consumption of just fresh fruits and vegetables for vitality. This was something my subconscious was crying out for, but I just didn’t discern it yet. I then put my newfound knowledge into action and there was an immediate change in my life. What’s a professional career if you are constantly sick and ill? Is it happiness if you have all the money in the world but not your health? These were questions I would always ask myself. Fruit: Cempedak. It tops the durian for me. The ones in Borneo are just a chewy heaven. Exercise: Running. I’ve been running ever since I can remember. Running late for law classes as a teenager to running in marathons. Bipedalism at its finest. Book: Wuthering Heights by Emile Bronte. Times and fashions come and go, but people don’t change. What was so true back then, is the same now. Plus, I’ve a soft spot for the beautiful Yorkshire Dales, England. Film: Ghostbusters. Sorry, I love Slimer. What more can I say? Album: George Michael’s Ladies & Gentlemen. I could listen to his voice forever. Place on earth: Borneo is a treasure—untouched—especially in Brunei. I could walk into a patch of jungle that’s simply never been explored before. I like to be a leader, not a follower. 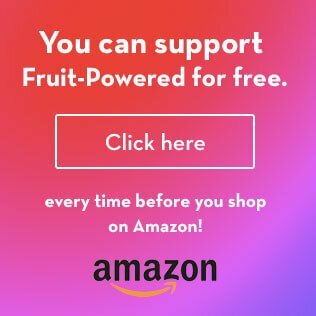 Thing to do: I love to eat weird and wonderful fruits. My aim in life is to have tasted every edible fruit on earth. Following a strict raw vegan diet consisting of only fresh fruits and vegetables with a few nuts and seeds, I was able to rid myself of severe migraines, which blighted my life. They would strike at the most untimely of moments. I would be fighting a huge case in court, and then, suddenly, I would need a moment to regroup and recover from the pain. Additionally, I would often break out in severe acne, which affected my confidence levels, owing to my naturally oily skin. I’d often lose my train of thought when I was litigating in court, with all those sets of eyes on me, knowing that I’m covered in acne. The new diet removed all these maladies, and exceptional self-confidence took their place. Suddenly, sangfroid and I became tantamount in my capricious career. Today, I stand proud as the healthiest advocate and solicitor in the whole of Southeast Asia. Aside from being a court litigation lawyer, I am also a nutritionist and dietician and have helped many with diabetes, arthritis, high blood pressure and am also working with cancer patients. Healthy living involves the food you eat coupled with the food you don’t eat. Healthy living also involves finding the right career, which gives you love, joy and is fun, and relationships with loved ones, which matter and help you connect with yourself better. 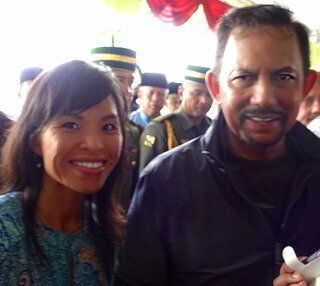 Mewsum Wong is photographed with the sultan of Brunei. Eating living foods has given me a new life. I have more energy than I thought possible and feel so vibrant, happy, clean and clear. It has empowered me to do my job more efficiently and effectively. My favourite benefit is how this lifestyle has opened me up, strengthening my intuition, connecting me to my higher self and passion. I love the constant energy levels I have and the resultant inspired positivity that it brings to my work and career, if I may add. I am now one happy Energizer Bunny! Whenever I am not busy at my desk job and moving around the corridors of the court house, I am busy meeting people and running health events, sharing with everyone who would care to stop and hear the benefits of eating fruits and vegetables. I have worked on major health initiatives in Malaysia, Indonesia, Thailand and Brunei with the support of the respective governmental bodies. I, too, host talks in the Sultanate and am fully supported by almost all governmental ministries in Brunei. 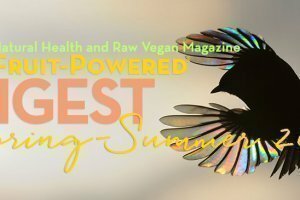 My raw food movement, Raw Food Asia, has caught Southeast Asia by storm and, since then, I have been widely covered in all social and public media and press, too. Juggling both careers is certainly no easy task, but I can say that this is just the humble, fruitful beginning. Be as cool as a cucumber, eat them, go out there and succeed! 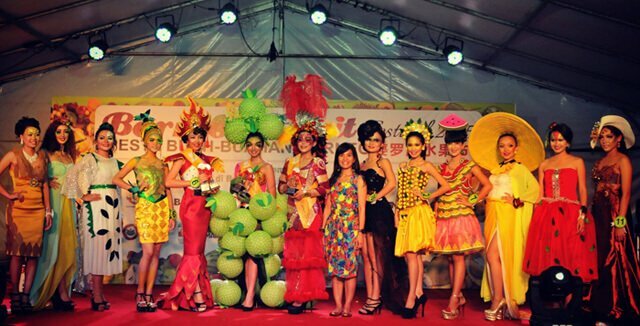 Mewsum Wong (near center) at the Ms. Fruity contest. Mewsum Wong’s Top 5 Tips for That Rawesome-Awesome You! 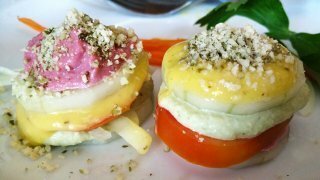 Explore all Appetizer Recipes to Party Dish Recipes! 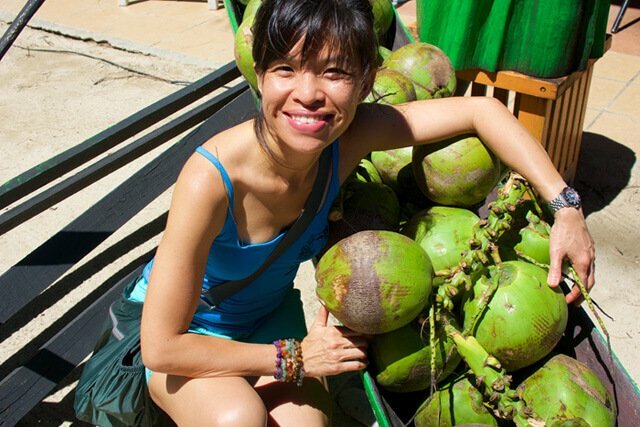 Mewsum Wong is the new darling of raw food in Asia. 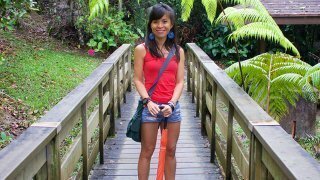 She is an advocate and solicitor by profession and is the founder of the largest natural plant-based foods movement in Asia called Raw Food Asia. 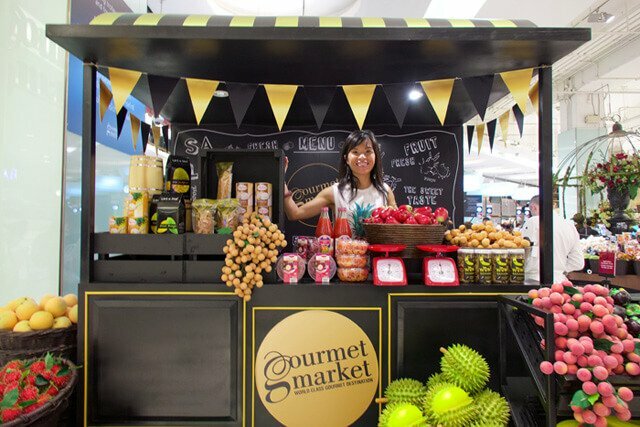 Mewsum works with the government of Brunei to promote health and encourage the consumption of fruits and vegetables for health.